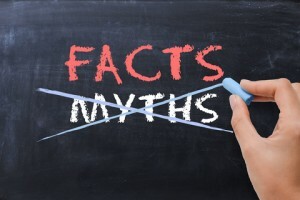 How many myths do you harbor in your mind about Chiropractic? There are many chiropractic techniques available. According to an American study conducted by the American Chiropractic Association, the most frequently used techniques by chiropractors are Diversified technique with 95.9% and extremity manipulating/adjusting 95.5% utilization rate. Most people are familiar with the Diversified method without actually knowing that this is the technique name of the adjustment they just received. Diversified method is the manual adjustment that often gives an audible release that people associate with “cracking”. However, this is not the only technique chiropractors use! There are several techniques that do not use manual therapies to adjust dysfunctional spinal bones. One such technique is called Torque Release Technique (TRT) which was developed by Dr. Jay Holder in 1990’s. Adjustments are delivered with a tool called the Integrator, which is a highly specialized chiropractic instrument designed to deliver very specific adjustments to restore nervous system tone. These adjustments are less focused on resorting joint dysfunction: They release primary points of tension to give patients maximum relief. With TRT adjustments there is never an audible sound after an adjustment. Nor is the patient positioned in strange, contoured postures when given the adjustment. TRT is perfect for those wishing to decrease their pain but are too afraid of being “cracked”. If you are wishing to explore the benefits of chiropractic, I offer non-invasive computerized nervous system scan that show where chronic stresses reside. This testing can help determine whether you would benefit from chiropractic care.